In the changing times, with the growing importance of education, it has become equally important to mould the educators too to be able to deliver the best. Professional development of teachers is what comes to rescue. Professional development implies over all development and improvements in the existing skills of teachers. This can be done either by conducting some one day workshops or organizing daily learning activities in the school campus rather than sending them for outside trainings. Professional development assumes great role when it comes to the increasing competition not only among students but also their educators. One needs to be at par the current updates and trends to be able to deliver the best to the students. The ability to be best doesn't come from being well rewarded with degrees but holistic growth achieved through professional development. 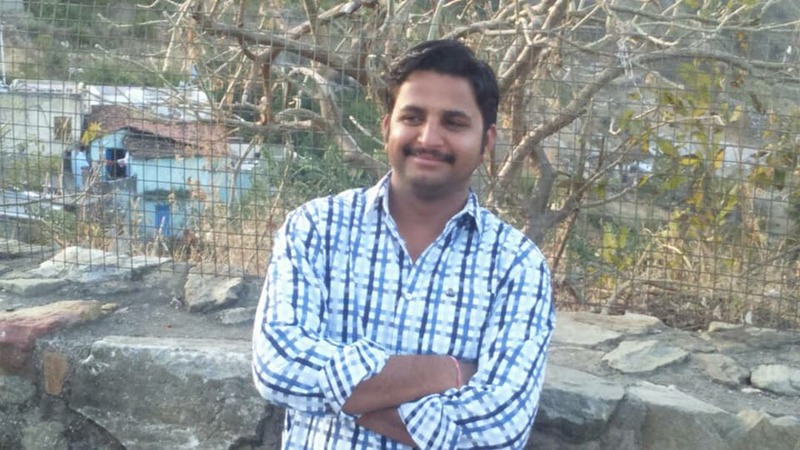 BS: My batch mates were Pushpendra Singh,Yogendra,Ajaypal,Rahul Sharma, Raguveer Singh. BS: Yes, I have participated in football, hockey all sports activities. Friday, 1st December: Staff had PDP Session on that day. Mr. Ajay Vijaywargi read out a thought ‘Serious Form of Education Dropping Out’ from the book “Can We Teach a Zebra Some Algebra “by Debashis Chatterjee”. Staff then discussed their opinions, gave their views and uploaded a writ up with graphics and photo in Alchemy of Learning. Staff wished Rajeshwari Rathore a Happy Birthday. May God bless her and best wishes for her future. Mrs Kavita Devda/ Educator was selected as Teacher this Week. She spoke few motivational words to the students. She said that if we want to get success in our life we have to do hard work. We should have positive feeling that we can do this work. We should not give up any work rather than we have to try to complete the work. KDA: I joined the school on 11th July 2012. KDA: The Principal at that time was Parineeta Ranpal. KDA: The environment was eco-friendly. KDA: I taught Pre- Primary Classes. KDA: II PUC, NTTE Training. KDA: No, I have not taught any school before Fabindia. KDA: Students should think positive always, if you fail to do anything never give up, learn new things by every mistake, then you will be successful. 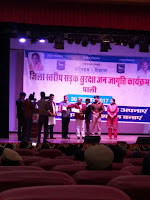 Monday, 27th November - Friday, 1st December: The whole week was celebrated as the Hindi Literary Week. A number of activities were organized by the Hindi Department both in the Assembly and classes. 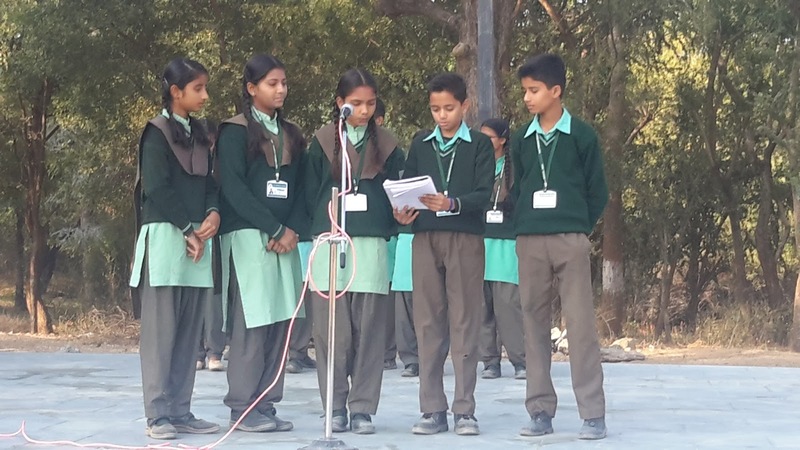 The activities carried out in the classes were Poetry Writing, Quiz, Extempore etc. 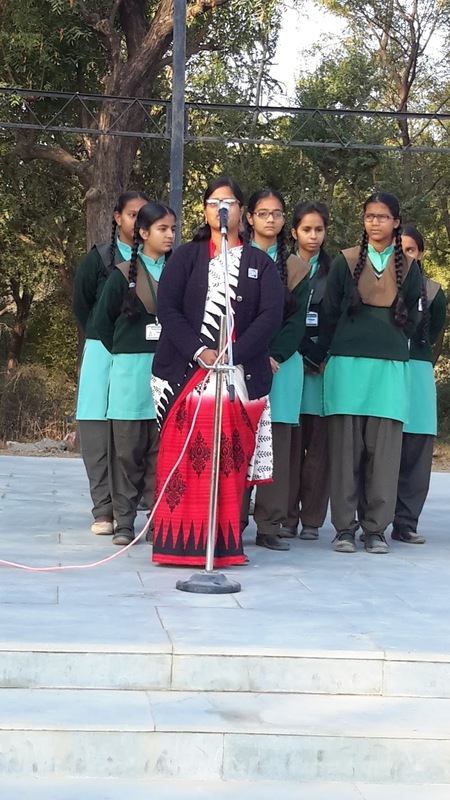 In the Assembly speeches were given, articles were readout, poems were recited and quiz was organized by the students and teachers all through the week. 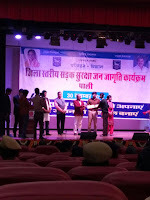 Priyanka Deora: Spoke about Mahaveer Dvivedi. 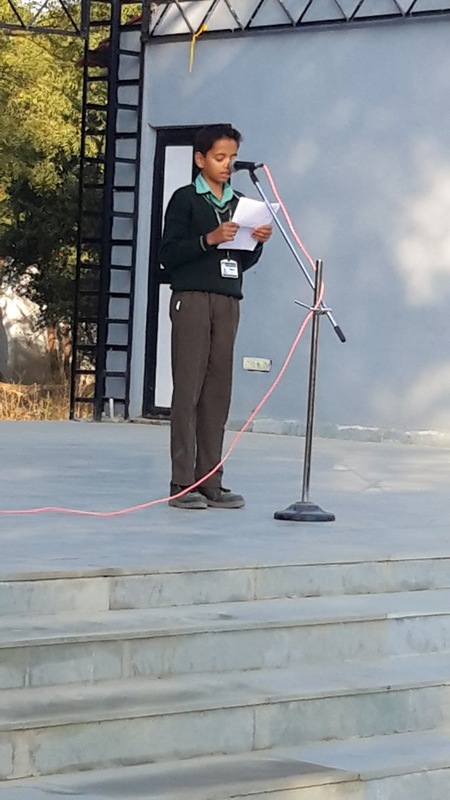 Himanshu Rajpurohit: Recited Poem in the Assembly. 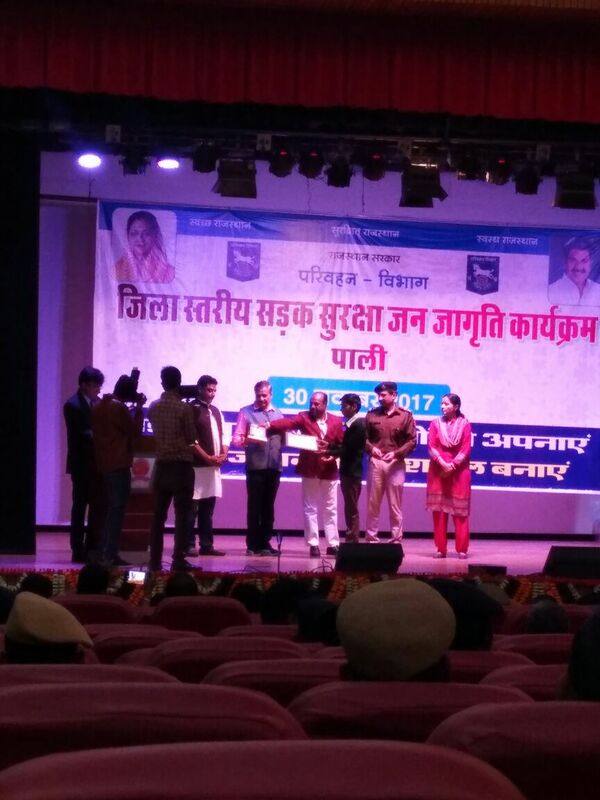 Jatin Tripathi: Spoke about Goswami Tulsidas ji. 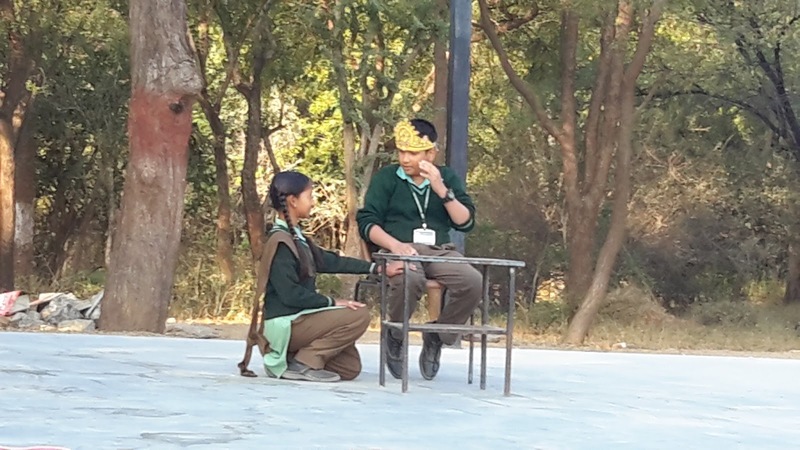 Students of Class VII enacted a play " Midas and his Golden Touch"
Wednesday,29th November: Inter-School Drawing competition was organised by the Interio Academy. Forty-nine students participated in it. Richa Solanki/ XII, Avinash Sain/ X, Gajendra Singh/ X secured III Position in the Competition. Rest of the students received Participation Certificate. 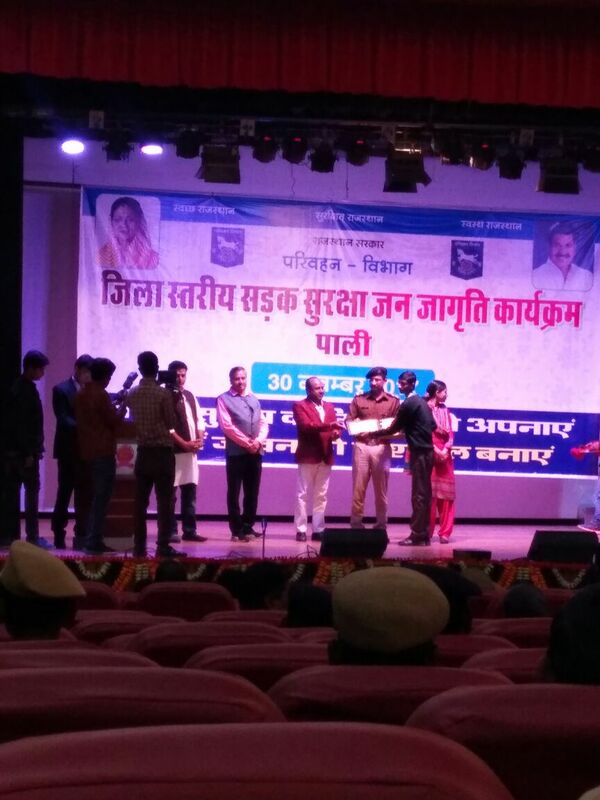 Thursday, 30th November: District Level Road Security Safety Awareness Program was organised in Pali in which three students Manmanvendra Singh/ XI, Manjeet Mainson/ IX and Nitesh Choudhary were awarded in the program. Friday, 1st December: World AIDS Day was celebrated in the School. In a Special Assembly, Mr. Ajay Vijaywargi/ Educator spoke at length on HIV-AIDS, to bring awareness among students. He also told us about AIDS and its immune deficiency process.